Warner Communications offers short term two way radio rentals for temporary replacements, special events, grand openings, seasonal businesses, equipment trials and disaster recovery efforts. 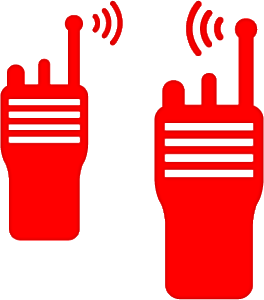 All of our two way communication radios for rent are portable, digital and commercial class. Contact us today to get a quote on two way radio rentals. The most common reason organizations seek two way radio rentals is for one-time large scale events (both private and public events). Warner Communications has rented radios to corporations, not-for-profits and local government municipalities for parades, carnivals, concerts, festivals, marathons, picnics, grand openings and conventions. Contact Warner’s communication experts today to get a quote on two way radio rentals.